of Autogas as a clean, cost effective alternative to petrol and diesel by providing professional, hassle-free LPG conversion services. LPG means Liquid Petroleum Gas. It is a combination of propane and butane molecules, along with trace amounts of other compounds. At a normal temperature, lpg is a gas. When subjected to modest pressure or cooling, it transforms into a liquid making it easy to transport and store. Lpg is a naturally occurring by-product of natural gas extraction and crude oil refining. In the past lpg was destroyed through venting or flaring, wasting the full potential of this exceptional energy source. How will I save money by converting my car to LPG? Even though lpg has a lower calorific value than petrol, (you get slightly less miles per gallon), lpg costs about 50% less than petrol. This is because the tax levels are much lower for lpg than for both diesel and unleaded, so it is still a far more cost effective way to run your car. LPG is a very clean burning fuel, more sustainable and better for the environment than other mainstream fuels. How much does it cost to convert my car? Lpg is by far the most widely available environmentally friendly alternative fuel. It is non-toxic and has no impact on soil, water and underground aquifers. It also helps to improve the quality of indoor and outdoor air, as it produces substantially less particulate matter, Nitrogen oxide, Carbon monoxide, Hydrocarbons and CO2 emissions than diesel, petrol, oil, wood and coal. Modern Lpg/Autogas engine systems are designed to be safe in use, safe in repair and safe in a vehicle accident. Lpg has been used safely over the world for many decades and 25 million vehicles run on it around the whole world. Crash and fire tests have proved that tanks fitted to the LPGA safety guidelines make the lpg fuel system safer than petrol. This is due to the tank that the lpg is stored in being able to withstand a far greater impact. Also lpg is fully contained under pressure in solid tanks in a sealed system, conventional petrol systems are far more prone to leaks and vapour escapes. As fully certified and experienced Autogas installers we care that our customers have the assurance of a safe and satisfactory installation backed by a Quality Assurance Programme and Consumer Code. Will it affect my car’s performance or damage the engine? Running your car on Autogas will not damage the engine, quite the opposite in fact, as the fuel is a gas it mixes better with air than petrol, therefore the combustion is much smoother, and also cleaner. Using Autogas reduces engine wear, oil and spark plugs will also last longer. Converting to Autogas / Lpg can increase the power and performance of your car especially if it is a turbo model. However, generally there is a small loss in performance, but so small you won’t notice it while driving. Where does the LPG tank go and how big is it? Our conversions are dual fuel so when the car runs out of lpg it will automatically switch to petrol. This is hardly noticeable and causes no damage to your engine. 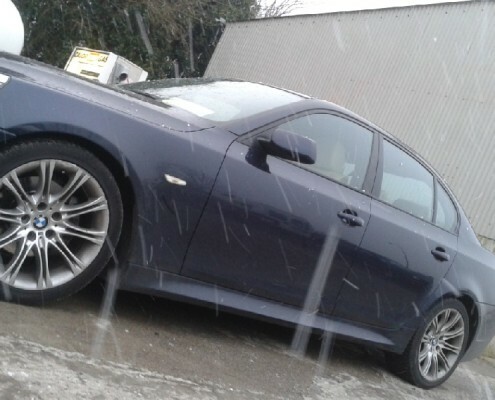 The car will normally start cold on petrol and then quickly switch over to gas when the engine is warm, it is therefore important to always have a little bit of petrol. Have had my conversion done on my rover 45 1.6 litre engine last October 2012 and running great average MPG is 32 mpg on gas. I have not filled my petrol tank since last Sept 2012. Great job done and will be looking to have a subaru 2.5 litre engine converted shortly. 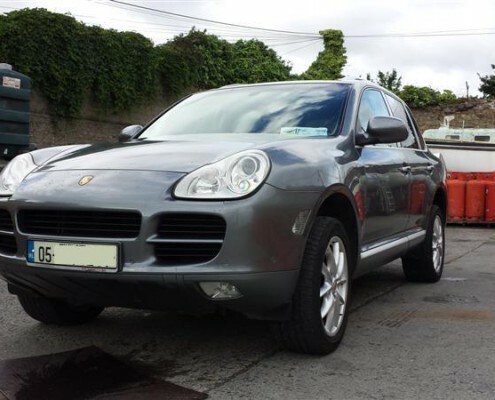 Top class job and I am a regular user of your gas station in Naas . I am very happy with the lpg conversion in my taxi. It’s a 2.7 Hyundai 6 cylinder. It was costing me 105 Euro to fill the car with petrol, it now costs me 62 Euro to fill with lpg. I recovered the cost with 30 fills of lpg (1200 Euro). There is no noticeable difference in performance in running on lpg. LPG conversion is the best thing what i could do(and I did) to my car, very happy about it, I got it 6-7 months and I did cca 10000 km and no problem at all, 10-11L/100km when price is cca 80c/Liter is kind “cool”. I am very glad that I had my car converted to lpg as this is saving me in the region of €45pw. While the work was being done on the car I was given a complementary car. Why pay €1.60 a liter for petrol when you can get LPG from .80c per liter. If there is a lpg gas station any where near you or on your way to work be clever and contact W-Tech LPG and get the job done. Who doesn’t want to save Money? The idea to create the business for the purpose of converting vehicles to LPG, also known as Autogas, came up in early 2011 when petrol became more expensive and the prices were still on the rise. The owner-to-come of VV-Tech LPG Ltd, asked himself a question – why there is no cheaper and cleaner option to petrol available in Ireland when it is in everywhere else? VV-Tech LPG Ltd was incorporated in September 2011. It can easily be called a founder of LPG in Ireland as it was the first company that started to convert vehicles to LPG in Ireland after the long break when the Autogas was popular back in 80thies. It was formed to bring the LPG, as a cheaper and greener alternative to petrol back to Ireland and make it available nationwide. For that reason the company developed a network of LPG conversion centers that use the same components for the convenience of every end user. We believe that a properly trained installer is one of the most important aspects of a good LPG conversion. For this reason we employ fully trained and qualified mechanics with over 35 years of experience in the motor industry. We regularly improve our knowledge on any technology innovations to be able to provide the highest level of advice on LPG conversions, maintenance and servicing. We specialize in LPG conversions but we also offer a wide range of diagnostics and car repairs. We are proud to be appointed by Autogaz-Centrum, the global manufacturer and distributor of modern LPG and CNG installation kits, an exclusive distributor and an authorized conversion center for ZENIT in Ireland. Based on our experience we offer the best quality LPG Autogas conversion kits and components. We are also Calor Gas approved installer and we are a member of Irish LPG Association. 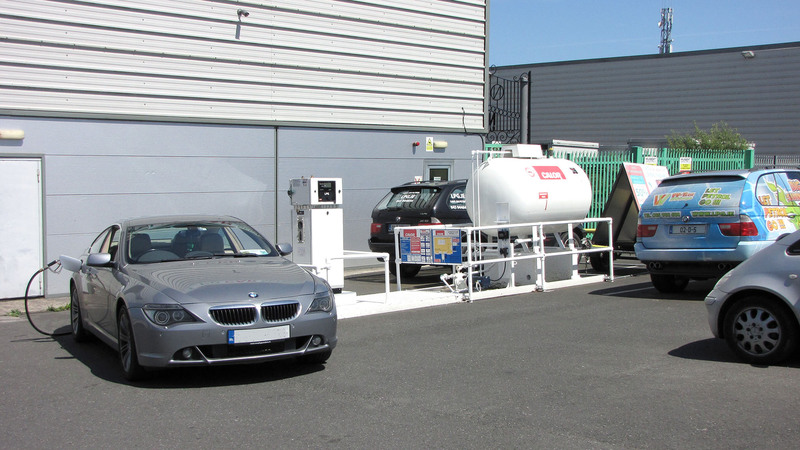 We were the first company to bring back LPG as an automotive fuel to Ireland in 2011. For the convenience of our customers we created a network of LPG conversion centres and we use the same high quality components for our conversions. Our network is No. 1 in Ireland and we are constantly working on its expansion. We are highly qualified and experienced specialists in LPG conversions as well as car diagnostics, servicing and repairs. The selection of components in the automotive gas installation is very important for its proper operation. We have tested and selected the most reliable and best value for money components that ensure long-term performance. We offer very modern 4th and 5th generation LPG systems used all over the world. Here in Ireland we have converted hundreds of cars using Zenit PRO OBD and we highly recommend it to our customers. The LPG conversion does not need to cost a fortune but still is a complicated process consisting of installing an additional fuel system. Our company supports and promotes LPG as an alternative fuel in Ireland and to attract customers offers the conversions at discounted prices ensuring high quality of the work performed at the same time. We are members of the Irish Liquefied Petroleum Gas Association and we are CalorGas approved installers. As the pioneers of LPG conversions in Ireland we also provide training and technical support for the members of our network. All our conversions are conducted according to Irish Standards I.S. 404. LPG costs about 50% less than petrol so despite it has a lower calorific value than petrol, (you get slightly less miles per gallon), it is still a far more cost effective way to run your car. You can save €30 – €6o on every tank filling comparing to petrol. 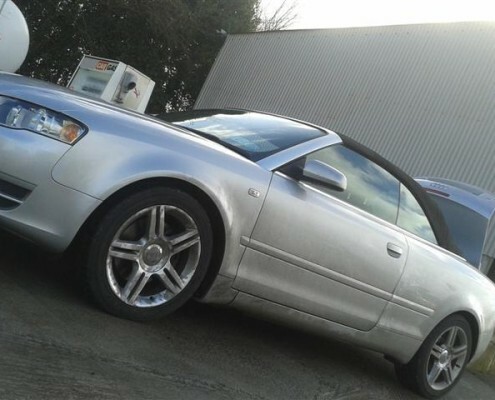 Frank converted his car to LPG and has saved about €5000 so far! With over 10 years experience in the LPG industry we guarantee fully professional LPG conversion services at affordable prices. It is vitally important to choose the right LPG installer if you decide to convert your car, as all industry standards and procedures have to be followed during the installation, which will allow to enjoy all the benefits of the LPG conversion for many years.